Tell It to Your Mortgage Lender, Face-to-Face! If you're sick and tired of pressing zero to reach a human at your bank, get in line. No really - get in line. Avoid this. Go meet with the bank. Lenders and housing counselors will meet face-to-face with homeowners struggling to pay their bills, at a session sponsored by the Federal Reserve Bank of Boston. 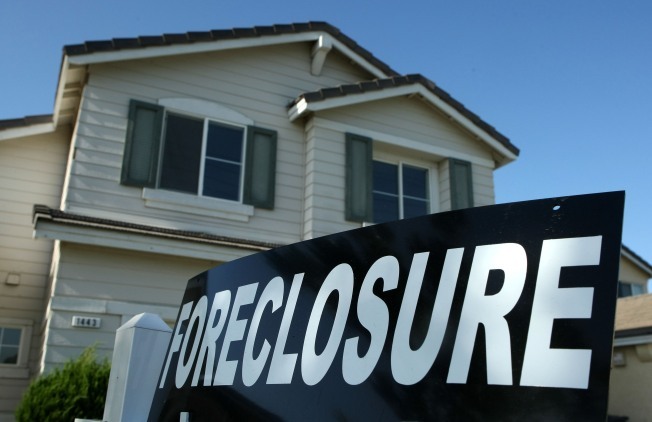 The goal is to begin to clarify and take steps to improve their situation, says a press release, "ideally beginning a process that leads to averting foreclosure." In addition to meeting one-on-one with lenders, homeowners can meet with foreclosure-prevention counselors from non-profit organizations. Make sure you bring paperwork showing income, expenses, debts and mortgage information. Among those lenders planning to attend: American Home, Bank of America, Chase, Countrywide, EMC, Freddie Mac, GMAC/Homecomings, HSBC, IndyMac, Select Portfolio, Washington Mutual, Wells Fargo, Wilshire. The event will be held at the Connecticut Convention Center on Saturday, February 14, from 10 a.m. to 4 p.m. The event is free. Borrowers can call 800-882-1600 or click here for more information about the event.